Mannarasala Sree Nagaraja Temple is dedicated to the serpents. The deity in this temple is Nagaraja. He is Anantha who is Lord Vishnu and Vasuki who is Lord Shiva. It is believed to be the form of Vishnu with the spirit of Shiva. There are two separate places on the temple premise one for the Sarpayakshi and the other for Nagayakshi who are companions of Nagaraja. Daily poojas are offered for Sarpayakshi. There is an Ilanji tree in front of its shrine with several pits for serpents. Anantha who was born as a child to the Brahmin family Vasudeva and Sridevi is a 5 headed serpent. There is a grove for Ananthan called as the Appooppan Kavu. It is strange to see some yellow snakes here. Near to this grove lies the temple of Bhadrakali and Dharmashastha. On the way to this temple lies an Illam which is an old Namboothiri house. This house is called as Eringadappally and is the residence of the Brahmins who are supposed to do the Poojas in the temple. It is a rare thing here that Amma who is the eldest member in the family is the priestess. She is regarded as the serpent’s mother. 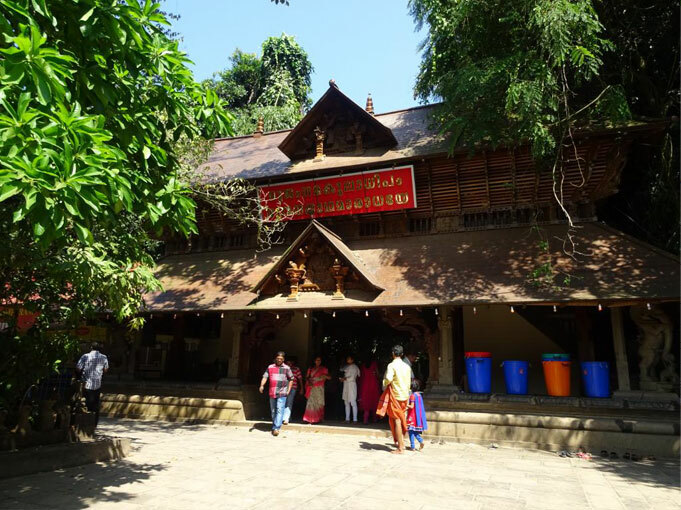 The festivals of this temple include the Mahashivarathri and the Ayilyam day that falls during the Malayalam months Thulam, Kanni and Kumbham. The Ayilyam during the Kanni month is the birth of Nagaraja and the Ayilyam in Kumbham is the birth of Anantha. The Ayilyam that falls in Thulam is celebrated well even though it has not much specialty. Every year on the day next to Shivarathri, ‘Nurum Palum’ is offered in the cellar. The offerings made here are those things that will make the serpents happy.